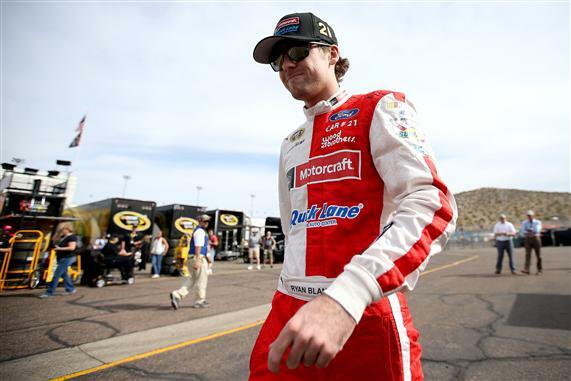 Sunoco Rookie of the Year candidate Ryan Blaney doesn’t have a lot of experience in NASCAR Sprint Cup Series cars. That doesn’t mean Blaney doesn’t know what he likes — and he likes the lower-downforce aerodynamic package in use this weekend at Kentucky Speedway, which has changed dramatically with a recent repaving and reconfiguration of the corners. “I would say that I’ve been on track with the Sprint Cup cars and with the new aero package and all those things, and it’s been a bit of a joy to drive,” Blaney said during a rain delay on Friday afternoon. “The cars are challenging to drive like we thought they would be and like we hoped they would be. With time trials canceled because of a rain-tightened schedule on Friday, Blaney will start 15th on owner points in Saturday night’s Quaker State 400. He was 17th fastest in Friday afternoon’s practice session. “It’s had decent speed so far, but maybe not exactly where we want to be,” Blaney said of his No. 21 Wood Brothers Ford. “We’ve got a little more time to work on it, so we’re going to go and do just that. I’m happy, of course, to be starting up front.